YouTube Video : Emory University's Artist in Residence Robert Spano in an interview with Becky Herring. YouTube Video : Continuing his duties as Emory University's Artist in Residence, Robert Spano talks about Mozart's fascination with numerology, particularly related to Freemasonry. YouTube Video : Robert Spano talks about how music expresses a nonverbal philosophical way of thinking. Music's symbols and tones cannot be expressed through words, which are not precise enough to express the layers and depths of tonality. YouTube Video : The beauty is in the shared experience, Robert Spano says about live performances in this class clip from MUS 470 (Harmonic Experience: Metaphysics and Music). I dont know of a musician who plays the same way in a rehearsal or practice as they do in a performance. Its an act of giving. Composer, performers, audience -- if any of those things are missing, we dont have the art. YouTube Video : Robert Spano talks about how conducting the works of Mozart is informed by knowing about Mozart's life. 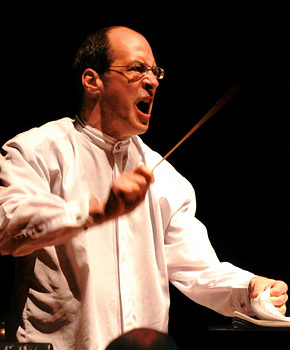 YouTube Video : Robert Spano talks about how thinking about music can help us think musically. YouTube Video : Music Director Robert Spano and Vice President For Artistic Planning and Operations Evans Mirageas speak about putting together the new 2016/17 Atlanta Symphony Orchestra season. Being announce on Wednesday, April 6, 2016, at 10am.